Hungary's central bank raised the base rate on Monday and said it would maintain a strict monetary policy in the face of inflationary risks, leaving the door open for another hike, The Thomson Financial reported. The bank increased the base rate 25 basis points to 8.5 percent in a move anticipated by markets. 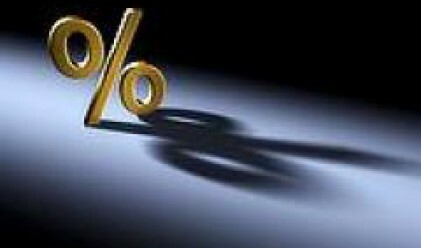 The bank has now increased interest rates 1 percentage points over the last three months. The central bank also increased its inflation projection to 4.2 percent next year, from a projection of 3.6 percent in February. The bank is targeting an inflation rate of 3 percent which it says will be reached in 2010. But upside risk to this scenario remain and the bank will maintain strict monetary conditions, said governor Andras Simor, speaking after the decision. Simor did not rule out another hike in the months ahead. Policymakers are worried that inflationary shocks from energy and food prices will have a lasting impact on the economy and have highlighted high wage growth in the private sector. Inflation edged down to 6.6 percent last month from 6.7 percent the month before and has been slower to fall than the bank had originally hoped. Simor said the decision to increase rates was backed by a 'strong majority' on the monetary policy committee. He said a proposal to lower interest rates by 25 basis points was a 'lone' proposal that would not hurt the bank's credibility. There was also a proposal to hold the base rate unchanged, said Simor. The governor added the development of the forint exchange rate may also play a significant role in future interest rate decisions, with a strong local currency decreasing inflationary pressure in the small open economy. The forint has strengthened over 5 percent to the euro since lows reached in the middle of February. Analysts are divided over the course of interest rates this year. An average shows a slight bias in favour of a lowering towards 8 percent by the end of the year, according to a Reuters poll published last week.